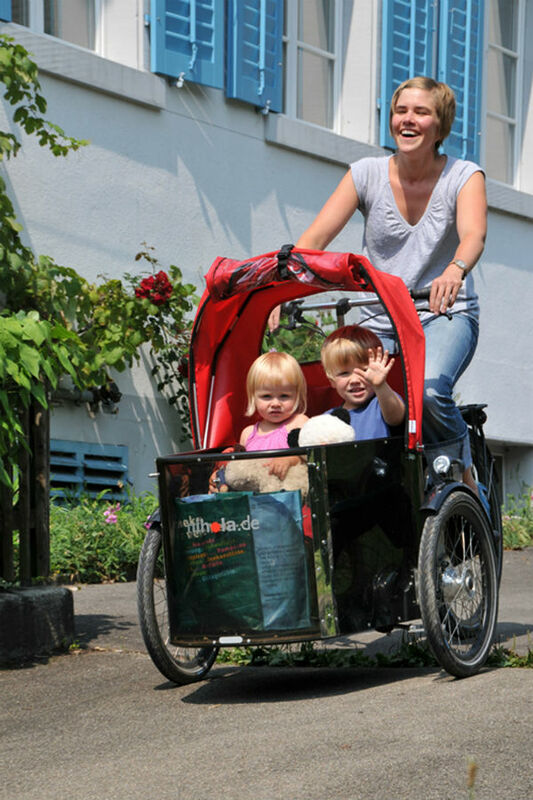 Nihola’s Family Trike is perfect for carrying children and shopping or schoolbags. The front cabin can hold 100kgs, and two children up to 7 or 8 years old can fit onto the bench seat. Alternatively, the bench will even sit an adult, and a baby carry cot can sit in the bottom of the cabin. Or you can remove the bench seat completely for more space – if you need to carry lots of shopping or make a recycling trip. The cabin is structural, made out of a tubular steel cage. The panels are tough ABS, able to stand up to knocks. The steering on the Nihola is clever – it’s proper Ackerman-geometry centre-point steering, just like a car, so is very stable. Twin front drum brakes are powerful, and there’s a rear brake as well. A sealed 8-speed Nexus hub gear is reliable, and the gears can be changed when stationary – very helpful with a heavy load onboard. 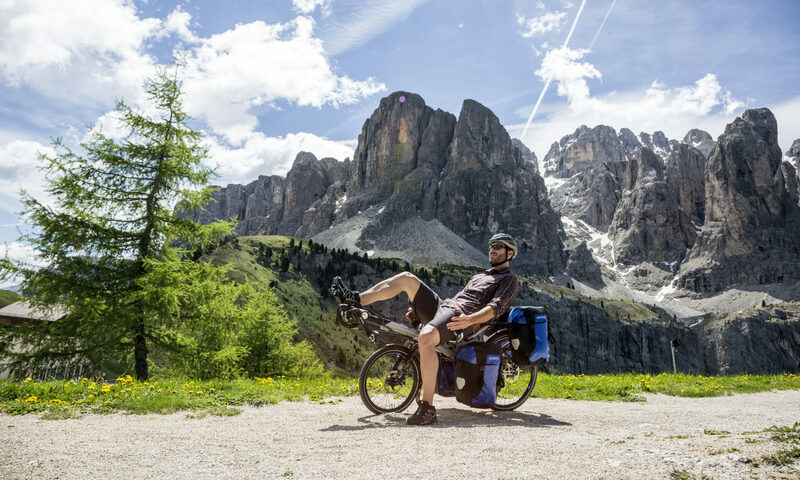 The Family Trike with rain cover is £2275 – lots of other options are available, including electric assistance for the hills.